Building relationships is an important part of what I do. I’m able to cross cultural divides and connect with people from many different backgrounds. I get to know people at a personal level because it allows me to help them by understanding their interests, family involvements, time commitments, and other components of their lives. Cases come and go, but it’s the experience with the people you serve that you remember the most. The recipient of numerous awards and distinctions for both his litigation practice and community service work, Mark Surprenant takes the lead counsel role on several very significant, high-profile environmental toxic torts and products liability cases in a number of states. On a daily basis he deals with cutting-edge endocrine disruption issues and the intricate science behind it. His work in this practice area has enhanced the firm’s reputation on a regional and national level. As Mark transitions into his new role as of counsel for the firm, he continues to share his deep knowledge with other lawyers and helps them develop business and cultivate client relationships. In concert with the firm’s strong commitment to pro bono work and community outreach, Mark serves as its Pro Bono Paladin and devotes a great deal of his time to providing no-cost legal services to those in need. Mark’s dedication to volunteerism and community service stretches back many years. In 1988, he created H.U.G.S. (Hope, Understanding, Giving, Support)—the firm’s corporate philanthropy program—and in 2000 he established Caring Adams & Reese Employees (CA&RE), the firm’s official pro bono program. Mark is the co-founder of SOLACE, Inc. (Support of Lawyers/Legal Personnel All Concern Encouraged), a statewide volunteer organization with approximately 17,000 members in Louisiana, plus chapters in more than 25 states. SOLACE primarily reaches out to assist those in the legal community who have experienced some significant, potentially life-changing event in their lives. Mark is also a member of both the American College of Trial Lawyers’ Access to Justice and Legal Services Committee and the Louisiana Access to Justice Commission. In both entities he was instrumental in starting a Distinguished Access to Justice Pro Bono Fellows Program. That program is for those judges and lawyers who have transitioned or are in the process of transitioning from their service on the bench or from their law practice to a point where they are interested in spending at least 20 hours per month in access to justice service to those in need. A former adjunct law school professor for many years, Mark developed the habit of keeping up on issues to stay ahead of his law students. 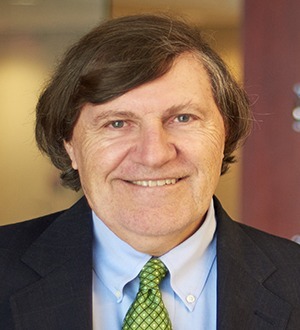 In addition to being a member of the American College of Trial Lawyers, he is also a member of the Federation of Defense and Corporate Counsel and the International Association of Defense Counsel for which he published an article on significant environmental toxic tort and endocrine disruption issues.